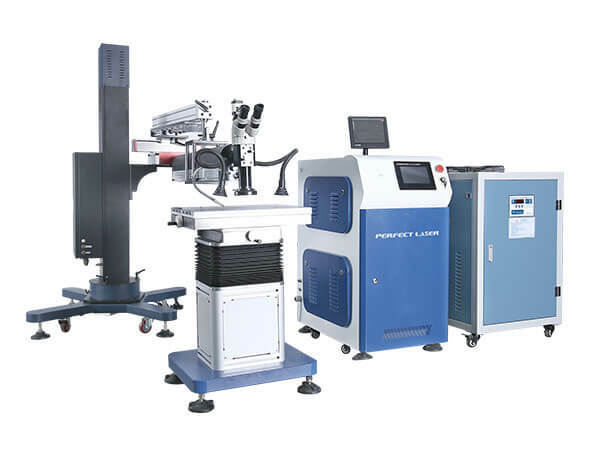 Perfect laser is specialized in welder's research and development, production, sales, training, after-sales service. Our new welder production named Suspension Arm Type Laser Welder for Mould Die Repair, this welder is designed with cantilevered laser cavity, this types of welding machine different from the original welder, in order to adapt to high strength and high hardness materials welding .At the same time in order to ensure the continuity and uniformity of welding joints, we increased mold two-dimensional table, to achieve higher difficult processing. Suspension Arm Type Laser Welder for Mould Die Repair is suitable for large, medium and small molds of welding, aluminium welding. This types of welding machine is widely used in chassis, automobiles, tires, ships, large household appliances plastic shell, auto parts, bearings, construction machinery and other mold manufacturing and molding industry. This types of welding machine can repair welding a variety of mold steel, stainless steel, cymbals steel, precious metals and hard materials, aluminium welding. Precision injection molding, die-casting, mold repair and accessories, precision stamping parts of the welding, lost wax castings, aluminum castings, stainless steel products sand hole. 1. The introduction of German technology, the user-friendly design of whole machine, is more suitable for all kinds of large and medium mold repair. 2. This types of welding machine use of British imports of ceramic condenser cavity, with high reflectivity, corrosion resistance, high temperature, the service life is up to 8-10 years, xenon lamp life of 800 million times. 3. The welder use of the world's most advanced high-speed LCD light valve filter automatic protection system, eliminating the time in the work of the eye irritation. 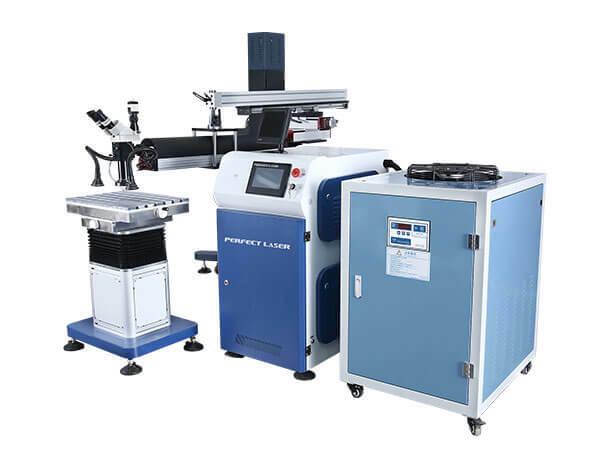 4.This types of welding machine with a cross-cursor stereoscopic microscope, the welding position to enlarge 10 times, (optional 15 times, 20 times). Cross the center of the cursor and the laser spot center overlap, easy to locate. 5. The welder with high-power integrated chiller, to ensure that the whole machine for a long time high-power stable working conditions. 6. Parameter adjustment using intelligent handle remote control, simple operation. 7.12 directions can be adjusted controlled by computer, this types of welding machine is suitable for all kinds of mold repair welding.